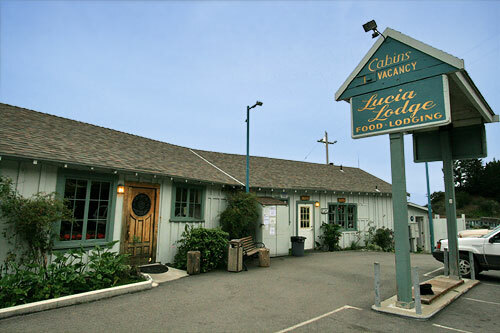 he Lucia Lodge sits on the ocean side of Highway One about an hour south of Carmel, or 45-60 minutes north of San Simeon and Cambria (depending on road conditions). The Lodge is well marked and visible from the road. If you are staying in one of our rooms, pull in to the parking lot next to the restaurant/store and enter the store to check in. 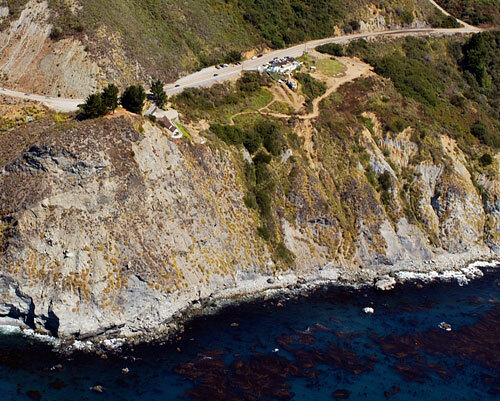 For current road conditions on Highway 1, Check the California Department of Transportation web site. Enter "1" in the box marked "Enter Highway Number". 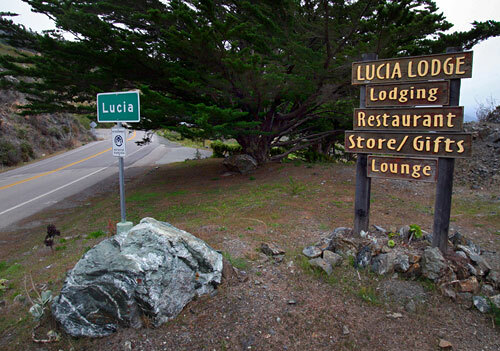 For a great perspective of how the Lucia Lodge sits along the coast, click on the image below.